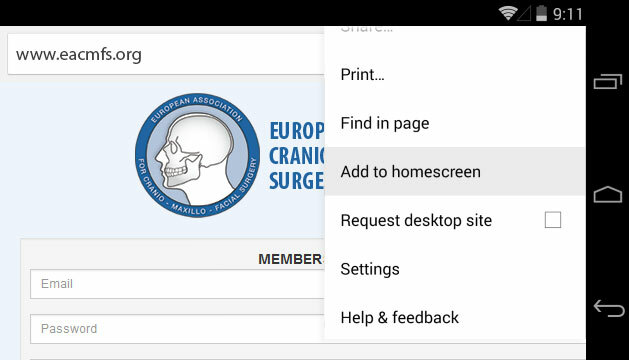 Launch Chrome for Android and open the website www.eacmfs.org to pin to your home screen. Tap the “menu button” and tap “Add to homescreen”. You’ll be able to enter a name for the shortcut and then Chrome will add it to your home screen. 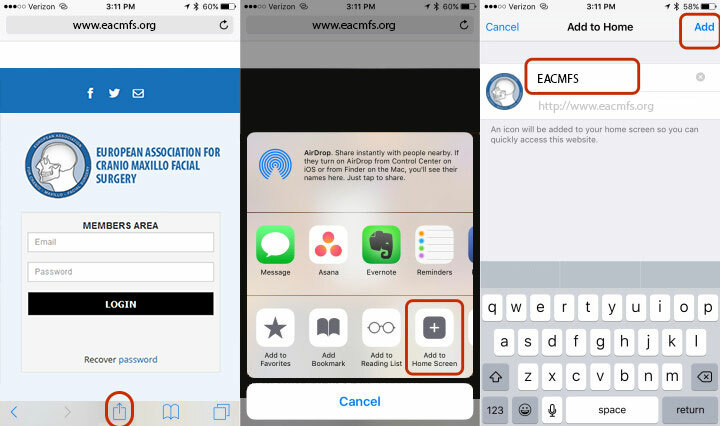 Open Safari on your iPhone and type www.eacmfs.org into the address bar. Tap the “Share button” at the bottom of the screen. This will open a new menu option that includes an “Add to Home Screen” option. Tap on this icon to continue adding the website shortcut to your iPhone homescreen.